I'll continue to work on new designs.Suggestions are well received. If you haven't,check out my other mod,VTO-Vertical Takeoff Outpost.I'm in the process of giving that mod a nice face-lift. PCDug gave me rights to upload a new version of this for compatibility with SS 2.0 and 3.0 features. I won't be doing any bug fixes per-say or adding new models, just making sure the mod keeps up with SS features and integrations. ASAM sensor messages added so selection via the ASAM sensor should now be possible. Added individual model notes for model preview replacement support. Added [PCD] to the front of the plan names for limited tagging support in the ASAM menu. Nice mod! Would an .esl version be possible? The latest release of Radrose Usability Enhancements includes an updated Valdacil's Item Sorting patch for PCDug Addons 1.2, adding icons & sorting for this mod's custom items. ...there is no info.xml file inside the archive. In such a case, where does the Nexus get the name ? 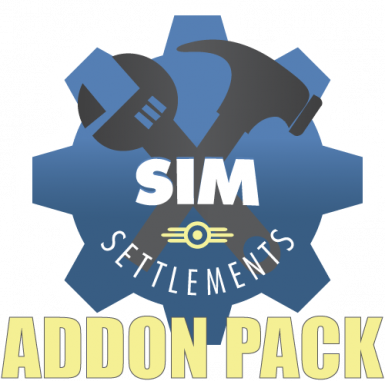 SIM-PCDugAddons v1.1 when we DL it manually ? in the case of your mod ( which is now v1.2 ) ? for your mod & your updates. I probably forgot to update the name when I uploaded it, I don't know if I can correct it or not, I'll have a look. Thank you for updating this mod mytigio, it's great that the SS community can still take over abandoned projects like Always Free and this. Excellent. I was lamenting that the cool new tags weren't available when choosing a building plan in a video yesterday, hoping that it didn't need the release of the new version of the toolkit to do. Thanks! Nah, the tags are just part of the name, so we just have to add them. Do these upgrade like the normal plots? You've probably determined this by now, but in the event of new visitors asking the same question, they do indeed upgrade. Pretty cool stuff. I assume, I've honestly never used them, I was just trying to help out and keep add-ons up to date with the latest SS integration features honestly. Thank you for the update mytigio ! Very much appreciated. And thanks PCDug for giving him the permission/ability to do so. PCDug has a reputation for abandoning his projects that he intends to work on. I'd download this if I could choose.. . 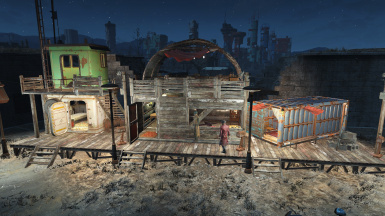 Personally wouldn't tolerate one of my settlers putting a cargo container down as their dwelling lmao. You can sorta choose. Once you put a plot down and see it's one you don't want, you can just pick the plot back up and place it again and it'll reroll to a different design.